So, is drinking 8 glasses of water good for skin? There is little research to back up that drinking more water is going to hydrate the skin, make the skin glow or smooth. The practical reason for this is that research is usually conducted for ‘products’ when they can be patented, thus the lack of research on water. The only research that I can find on Pubmed on water is Effect of fluid intake on skin physiology: distinct differences between drinking mineral water and tap water. The results seemed convoluted though with no clear conclusion. The conclusion from most dermatologists though is lack of water is bad for the skin but excess water does not benefit the skin. 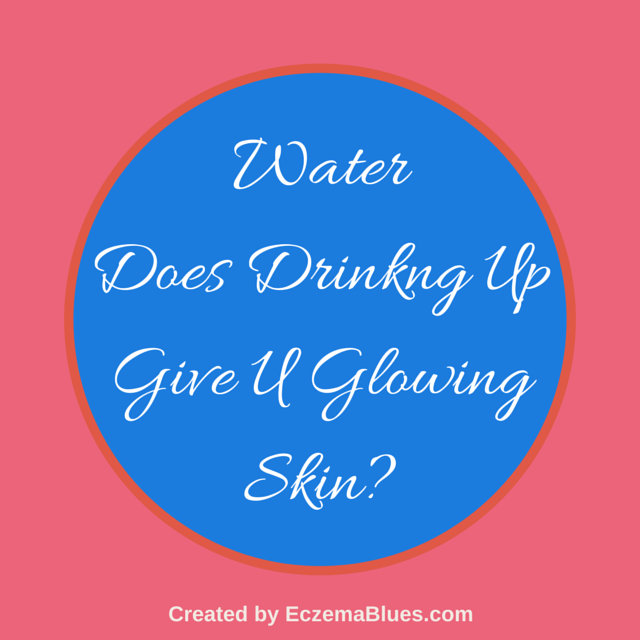 What happens to Skin when Drinking Too Little Water? Our body needs water for its organs to function so it will reduce hydrating cells to channel water for essential body functions. The skin will then look duller and wrinkles and pores will be more apparent. However, there is no change to the underlying skin structure but the wrinkles and pores are ‘temporarily’ more obvious when the body is dehydrated. But prolonged dehydration can speed up aging as the skin is persistently drier and more prone to skin irritation as well. So, does Drinking Water Help with Hydrating Skin? Bottom line – Drink when you’re thirsty. Signing off SkinishMom, and yes, just remembered that thirst is often mistaken for hunger so I’m drinking up! I am interested in behavioural dermatology. This includes drinking behaviour! All over ,everyone these days seems attached to carrying bottles of water – never before, unless when on a racing bike! Seems as if there is an epidemic of dehydration. As you say, if you drink more than you need, the body passes it out. Interesting that this is when there are less and less public toilets! Here in London, anyway. Food for thought. Good thought Dr B – maybe it’s global warming and it’s getting too hot that we need water all the time!